What is the bravest thing in the world? A brave bear, of course! And who is the best at helping a little bear feel brave? His dad. It is a hot, hot day. Dad Bear says, “I think a pair of hot bears is probably the hottest thing in the world.” So Little Bear suggests they go to the river to cool down. It's a long way. Little Bear tries to impress his Dad by doing a big jump from one rock to another, but he falls over. 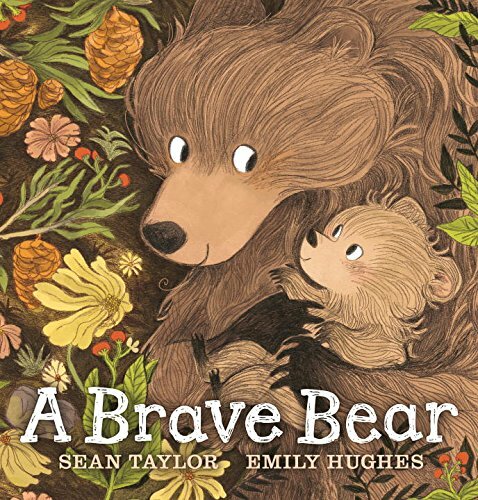 When he picks himself up and keeps going, his dad says, “I think a brave bear is probably the bravest thing in the world.” For very young children just beginning to dare to do new things and their supportive and loving parents, this gentle read-aloud just might be the best thing in the world.